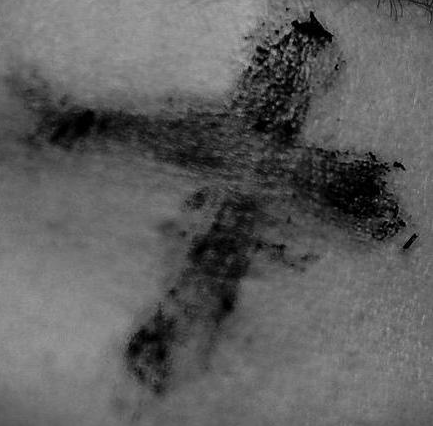 It’s Ash Wednesday, one of my favorite holy days of the year. It’s not fun. The mood isn’t sunny optimism. It’s dark, somber. You get a black mark on your forehead. You grieve your brokenness. You confess your sin. God is with us – so we, in response, do without. And it’s only the beginning of a forty day season of the same. In our culture of having, getting, laughing, diversions, satisfactions, consuming – what could be weirder, or more counter-cultural? And what might actually bring the healing and mercy you crave and can’t find out there in the culture? Christopher Lasch diagnosed why many people don’t believe in God, or go to church, or get serious about the life of faith: “Rebellion against God is the natural reaction to the discovery that the world was not made for our personal convenience.” In a way, we are all rebels against God. But the rebellion is a thinly veiled brokenness, the inevitable result of trying to be somebody we weren’t meant to be, and can’t be. I’m not God. You aren’t either. Can’t be. What a relief…. Want to be close to Jesus? He went into the wilderness for 40 days to fast, pray, and deal with evil head-on. Want a new, or renewed identity? In our era of identity politics, we might all realize how identity gets shaped by forces outside ourselves, and not of God. Primarily, society says you are a consumer. You are entitled; we always think it’s somebody else who is plagued by a sense of entitlement, but really it’s all of us – which is why advertisers love to say “You deserve…” whatever it is they’re hawking. Lent declares you’re better than that, higher than that, nobler than that, holier than that. You aren’t a gobbling consumer. You aren’t entitled. You are God’s child. It’s all mercy. You can’t lose it either. And so for a season we do without. Not something we should do without anyhow, but something we like, something we don’t have to do without. We do it for Jesus. We do it so we will recognize how flabby we are spiritually, how easily thrown off balance (what, no chocolate bon-bons today?). We do it to enter into solidarity with God’s people who have nothing and fast but not by choice. Where else besides church would you be told to do without? Not to satisfy every whim and craving? It’s a course in redefining who and whose you are. Where else do we think pain and suffering are paradoxical goods? Childbirth, perhaps – or maybe on the battle field – or as an athlete or a ballerina pressing the limits of excellence. Fascinating: good pain, suffering to get you somewhere. It’s the Christian life. It’s Lent. Church matters, because we won’t treat you like an entitled consumer. We will point you toward God, and life, which exacts its costs, but never disappoints.